Hi everyone, you are visiting Kayla MacAulay's blog from Tasmania, Australia. Can you believe it is almost the end of May? 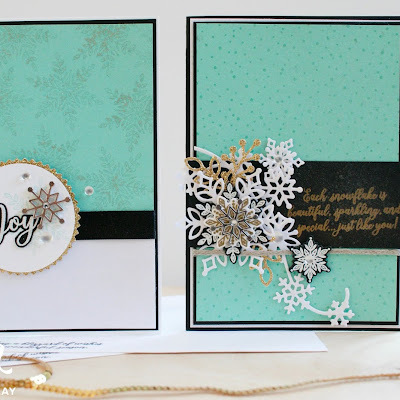 We are almost half way through the year which is an exciting and sad time at Stampin' Up! because it does mean that while we are saying hello to lots of great and gorgeous new products, we are also saying goodbye to some. 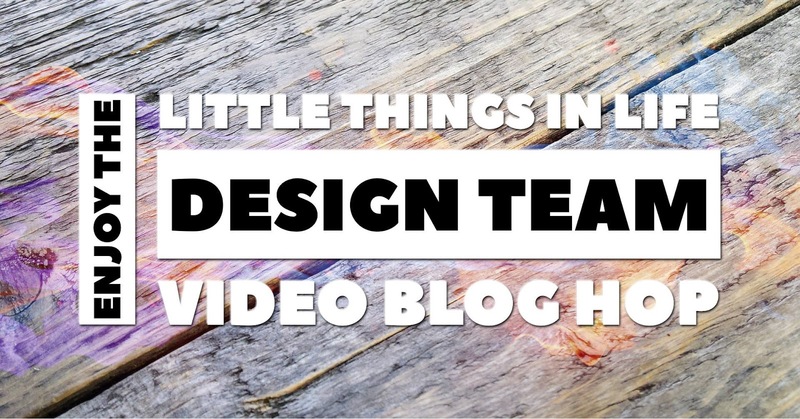 I am so happy and blessed to have been asked to be a part of the "Enjoy The Little Things In Life" Video Blog Hop team where we are sharing a new blog post and video each month. 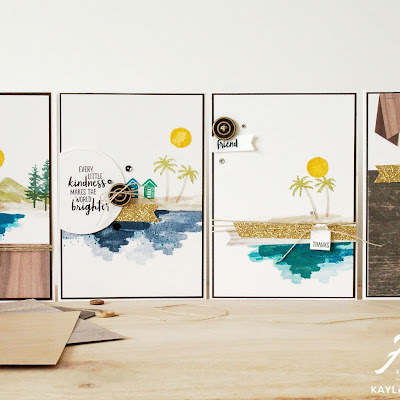 This month is my first month and the month where we are featuring our favourite retiring stamp set and retiring colours! At the end of each annual catalogue we say goodbye to set a five In Colours but in fact this year we are saying goodbye to lots of colours as Stampin' Up! have decided to have a colour revamp and refresh their colour families, which meant saying goodbye to some! I decided to focus on a couple of the retiring In Colours which happened to be my favourites, Dapper Denim and Emerald Envy. I really wanted to give watercoloring a go on the gorgeous Shimmery White A4 Cardstock. I hope you enjoy my project and my video. 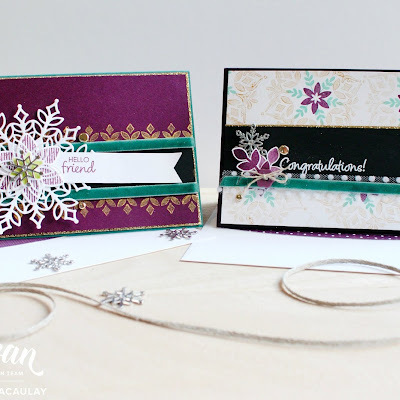 Be sure to check the end of the post for all the supplies I have used and links to all the other gorgeous blogs that have taken part. Here's a look at my completed card. I really enjoyed the watercoloring process on this card. I do have some tips for this on the video so be sure to check that out. I have also used quite a few retiring products including the Badges & Banners Stamp Set and coordinating Badge Punch as well as the Birthday Mini Binder Clips and Myths & Magic Glimmer Paper. I also used the retiring Dapper Denim and Soft Sky Cardstock. I will be sad to see them go. 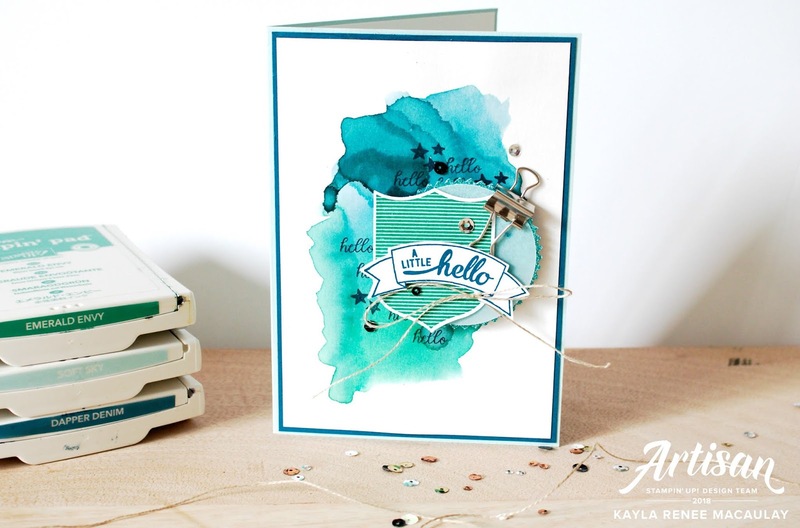 I accented the card with a few products that are actually carrying over to the new catalogue including the Metallic Sequin mix, Linen Thread, Tabs for Everything Stamp Set and the beautiful Vellum. It's an amazing hop and you can see all the other gorgeous blogs and videos here. Here's a close up of my completed card. 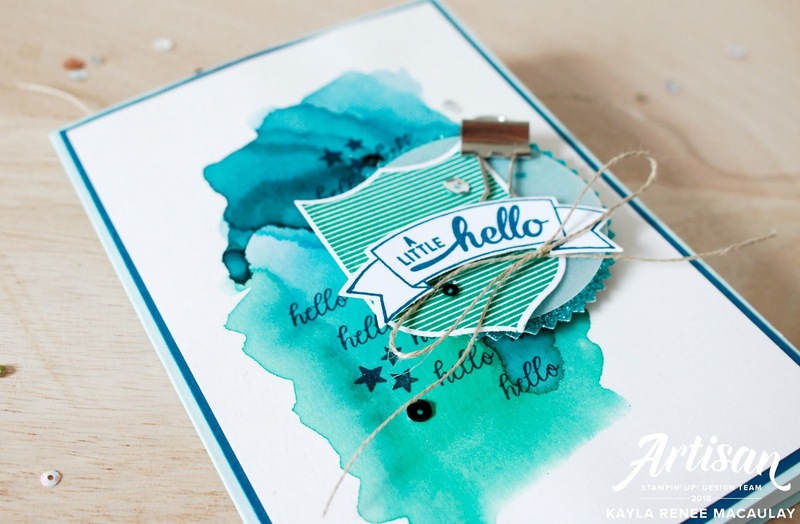 How gorgeous do these colours look blended together in the watercolour? I think I will be doing this again. I hope you enjoyed today's post. Be sure to check out all the other blogs and be sure to leave a comment. I would love to hear from you.